Education technology company Follett has opened its latest challenge, inviting schools to submit video entries about their programs that have made a positive impact. Prizes include $200,000 worth of Follett products and services. The company provides books, entertainment products, digital content, multimedia and technology for libraries and schools. Last year's top winner, Tudor Elementary School, part of the Anchorage School District, received recognition for its "Young Global Citizens" program, which showcases how global connections affect students' learning and their perspective on the world. 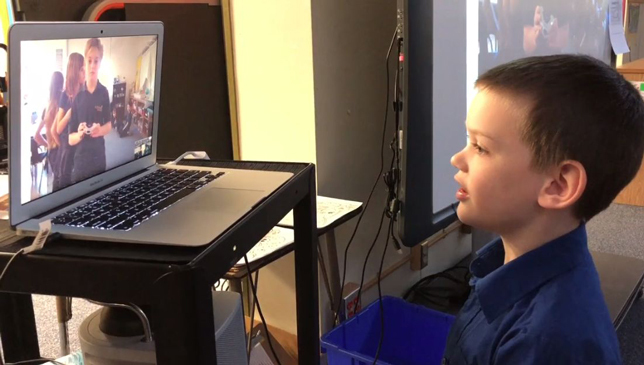 Each year, as the school's video entry showed, the students participate in "self-created global projects" with hundreds of "schools, educators, scientists, activists and ordinary human beings" to teach about Alaska, learn about the world and "make an impact." "Winning the Follett Challenge has been a validating motivation for our students that the world recognizes children can be change makers as young global citizens," said school librarian Michelle Carton, in a statement. "The passion to do more, learn more and be more is a driving force thanks to Follett's gracious award." Three semi-finalists, one each from elementary, middle and high schools, will be selected to receive $30,000 prizes. From among those, the top winner will be chosen to receive an additional $30,000 in goods, along with a personal visit from children's book author Kwame Alexander, a Newberry Medalist whose latest book is Swing. Alexander will also serve as a judge for challenge, which is open for entries through Dec. 14. Entrants need to fill out an online application and submit a video that shares their program and how it has made a positive impact. There's a special emphasis on programs that promote 21st century skills, including critical thinking, communication, creativity and collaboration. Submissions can be made by teachers and parent-teacher organizations. Ten $8,000 prizes will be awarded to "people's choice" winners, based on the number of online votes they receive from the public. To learn more about the challenge, visit its dedicated website.